Our headquarters, near Wamuran, is the administrative and growing hub for our family owned and operated business. Branching off from the central home farm are 10 adjoining farms. Pineapples and strawberries grown on our adjoining farms – as well as those produced by third party growers locally and interstate – are packed at our on-site facility and despatched to supermarket customers around Australia. Attached to our headquarters on Scurr Road is a commercial packing shed which processes fruit 52 weeks a year. Packing lines operate simultaneously throughout the year, packing pineapples and strawberries during winter and pineapples during summer. We assemble and disassemble packing lines according to the volume of fruit expected and the packing workforce required. Up to 100 seasonal packers join our permanent workforce to process fruit during busy periods. Our facilities include five cold rooms (four of which are converted to mango ripening rooms), two loading docks for semi-trailers, a storage area and four forklifts. Our Quality Assurance team uses the latest technology to ensure fruit meets stringent Australian food safety standards and customer specifications. Sophisticated traceability systems allow us to track each piece of fruit back to the farm on which it was grown. 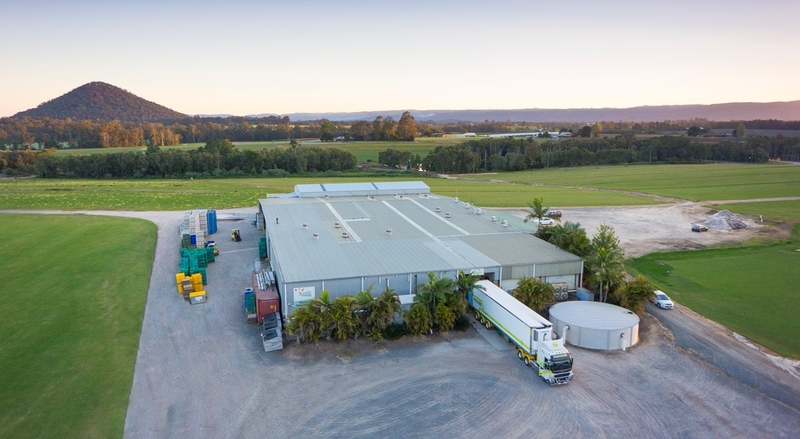 The packing shed has a footprint of 2,760 square metres, handling up to 4,000 trays of pineapples and up to 8,000 punnets of strawberries in a day. Administrative, accounts, logistics and key sales staff are also based here.